This is exciting times for Clonmel Athletic Club as Funding has been approved for the development of the Sports Hub in the LIT Campus on the By Pass. This state of the art, World class development includes a 400 meter track and infield for use by Clonmel AC. This facility will also provide for a 1km loop both on tarmacadam and grass offering runners and walkers alike a safe lit environment to further their athletic endeavours. 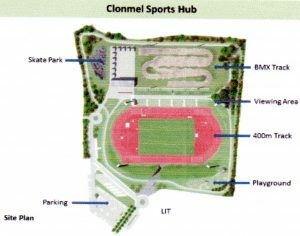 As with all things, no pain no gain and for this development to progress Clonmel AC has to have a financial input. It is with this in mind that we are appealing to you for your support with this year’s lotto. The draw is held fortnightly for the year and individual tickets cost €2 each, so for 26 draws that totals €52. However, to give our supporters great value we are offering a yearly ticket for just €45. The numbers go from 1 to 30 and each individual is asked to select 4 numbers. The jack pot at present is €10,400 and increases by €100 each draw until won. If the draw is not won, €100 is shared amongst anybody who matches 3 numbers. I would like to thank most sincerely those of you who consistently support our lotto and I hope that you will be in a position to continue. 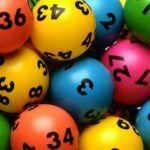 To those of you who may not have supported our lotto in the past, I would appeal to you to do so now so that we can ensure new and improved facilities for our current members and future generations of athletes in Clonmel.